Cartoonist Tom Fishburne launched Marketoonist to help large and small businesses such as Google, GE, Kronos, Motista, Rocketfuel, reach their audiences with cartoons. 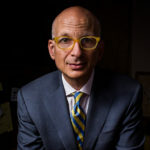 Seth Godin’s blog offers key insights into current marketing trends and developments all backed up with Godin’s signature knowledge. The Brandgym blog offers detailed insight into the marketing world and investigates new trends and cutting-edge changes. This blog deals with the science of marketing and intertwines current trends and practices with the academic elements of marketing. Dealing in behavioural economics, Dan Ariely’s blog offers an insight into a plethora of behaviours, including email use and support for political candidates. 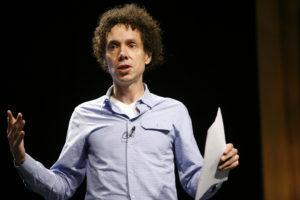 Malcolm Gladwell’s blog covers a range of ‘macro’ issues from a philosophical standpoint and provides a fascinating view into the author’s thought process. Tim Calkins’s blog covers branding in detail and keeps up to date on current topics and trends by adding a branding twist to them. In-depth focuses on innovation and progress are the cornerstone of the BoI’s blog. Although not updated often, the blog consistently offers fascinating insights. Although it has now stopped posting for good, Stefan Lindegaard’s blog offers some great pieces on Corporate Transformation that are definitely worth reading. Shane O Leary’s blog offers a frank, feisty view on marketing and advertising including insights on native advertising, digital marketing and budgets.